The Thracian Gold tour offers you the opportunity to become acquainted with the rich past of the Thracian culture in Bulgaria. Time flies when we go back in time. 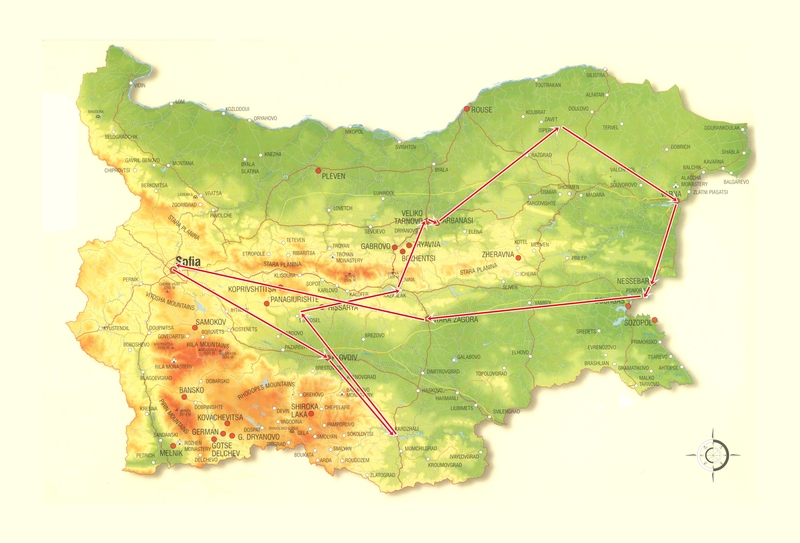 What remains is the pleasure of this unforgettable experience and unique history of the Thracian culture. Perperikon is located in the East Rhodope Mountain – the rock city stands on a cliff top at a height of 470 meters. The comfortable river valley has created conditions of life since ancient times. Therefore the valley is strewn with dozens of archaeological sites from various ages, the center of which is Perperikon. The medieval archaeological complex Perperikon is one of the most ancient monumental megalithic structures, entirely carved into the rocks. It is one of the most popular tourist destinations in Bulgaria. Religious activity at the top of the cliff began in the 5th century BC. It is associated with the beliefs of the Copper Age people, who started the cult of the sun god. Here they established the first sanctuary and started leaving food in containers for the gods. According to the legends, two crucial prophecies were made from the altar of this temple. The first one predicted great conquest and glory for Alexander the Macedonian, and the second, made several centuries later, predicted power and strength for the first Roman Emperor – Gaius Julius Caesar Augustus. Today the ancient glory of Perperikon rises. The holy city is unique in terms of archaeological, historical, environmental and multi-religious aspect – it is one of the World’s Wonders.